Included in the new version is a suite of new features for FlexiPRINT Premium and FlexiSIGN-Pro Editions, in addition to enhancement of the company's FlexiPRINT Basic Edition software, available on HP bundles worldwide for customers of the HP Latex 310 and 330 printers. 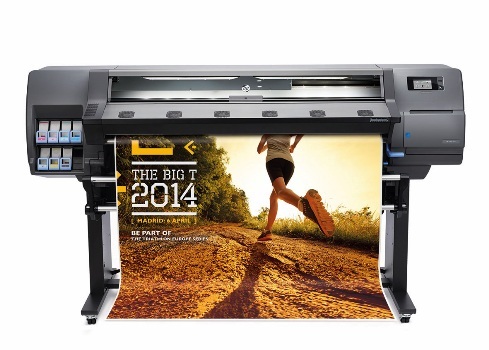 All the packages come with Microsoft® Windows® 10 compatibility, intuitive Job Nesting Alignment Tools and an updated HP Latex Driver SDK. 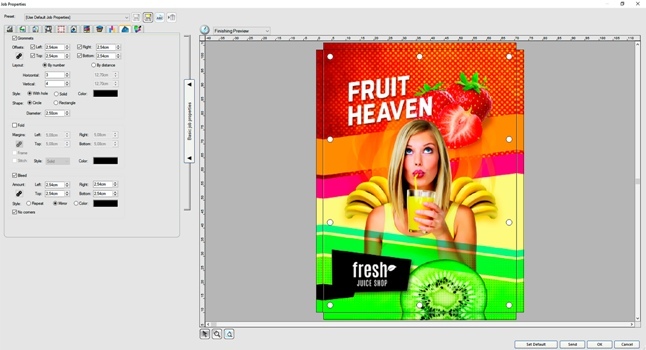 Users of FlexiPRINT Premium and FlexiSIGN Pro, such as established signmakers or those whose businesses are expanding, will now also have access to a greater set of tools designed for an efficient and precise design, print and cut workflow. Artwork Approval Tool - this new tool sends designs to customers to review and comment on the artwork through their web browser. It also tracks each approval project and revision, as well as notifies print businesses when customers have reviewed or approved artwork. Banner and Canvas Finishing Tools – Allows users to prepare all the finishing aspects of banners with grommet marks, folds, stitch marks and bleeds quickly. Automatic bleed setting and marks accelerates throughput and accuracy over manual marking and preparation of canvas jobs. Animated Cut Viewer Tools - allows users to analyse exactly how designs will cut prior to the process with an animated preview that displays all blade and cut movement for one or all vinyl colour layers. Contour Cut True Shape Nesting - ensures maximum media savings for print-and-cut jobs with contour cut true shape nesting, which automatically rotates and nests images based on their actual shape. Users can import multiple bitmaps or vector images into Flexi, add a contour cut path and true shape nest them - all in a matter of seconds. The nest can then be sent to Flexi Production Manager or conveniently exported to other RIP software. New Mobile App - enables business owners to view recent jobs on their Apple or Android smartphone, tablet or smartwatch on-the-go. The new dashboard also shows them monthly, quarterly and annual production insights for both print and vinyl cut-only volume which they would otherwise not know. Support for the Latest HP Wallart Suite - with the highest level of HP Certification. FlexiPRINT provides a seamless web-to-print workflow from a user's HP Wallart account through FlexiPRINT to HP Latex production printers. Banner and Canvas Finishing Tools allow for greater accuracy over manual marking and preparation of canvas jobs"The new upgrades to our SAi FlexiPRINT HP Latex Edition software offer significantly increased functionality to users of the HP Latex 300 Series Printer solutions," said Gudrun Bonte, Product Director at SAi. "This will allow far greater performance and flexibility while ensuring a much more efficient workflow to support overall production throughput," she added. Existing customers can download the new updates through the ‘Free V12 Download' icon in the cloud web window. All new orders of SAi FlexiPRINT Basic, Premium and FlexiSIGN-PRO HP Latex Edition include the new Version 12 and do not need to be updated.